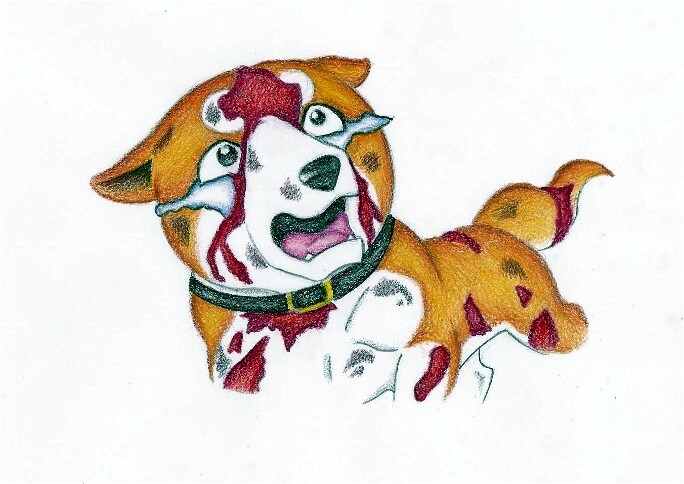 The part in Ginga Densetsu Riki where Riki goes off in the storm to find his mother and get's beat up by these stupid dogs, just because they want to beat him up. Awsome! I luv the tears! and blood! i've seen Riki cry in the last episode, when he dies... It's very sad.... Long live Riki! Your work is so good, and i've never got to read ginga densetsu weed riki.....but i want to...anyway, awesome pic! !